Fun Autumn Activities for ESL Students | So, You Think You Can Teach ESL? It’s Autumn (or “Fall” in the US), which means cool weather, cloudy skies, and colorful leaves! It’s my favorite season next to Winter! I love seeing the leaves change colors and the cool weather. It makes me feel more alive than the Summer heat (that kills me). Anyways, aside from my personal feelings about Autumn, it’s also a fun season to incorporate into your lessons (and classroom decorations). 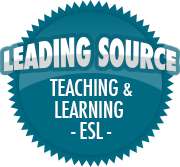 So, here are some fun Autumn activities and lessons for ELLs! Let’s Eat! – Give your students a taste of the season while having fun teaching vocabulary and sequencing. One fun thing you can do is make pies – from apple pie to pumpkin pie – your students will love this activity! Your students can learn sensory vocabulary related to taste and touch, as well as sequencing by writing out how to make the pie. You can make the steps as simple or detailed as necessary depending on the students’ level. Get Outdoors! – Autumn’s weather is perfect for a daytime stroll in the park or around the school (if possible). You can teach about science and nature, as well as weather, when outside. The children also get to move and stretch their legs a bit, since sitting for so long can cause them to become disruptive or tired. You can get your students to talk about the weather and what colors they see. For older or more advanced students, you can ask them if they know why leaves change colors. You can even talk about various animals and why they hibernate or fly south for the coming Winter. Discover your past! – Another fun activity is making a family tree. For young learners, teach family vocabulary words such as “father”, “mother”, “grandmother”, and “grandfather”, and you can get into more detailed vocabulary with older, more advanced students. It’s always fun to find out where your family came from and if there were any interesting people. Young students can fill out a family tree and share a little bit about who is in their family. Older students can put together an album with old photographs (if it’s possible) and other items from their family’s past. Maybe a few students have some neat stories to tell. Let’s Role-play! – Here’s a great activity to get students to speak and be more engaged in the lesson. You can have various parts such as a “News Reporter”, “Mother Nature”, and various animals associated with fall (squirrels, bears, birds, etc), and hold a Q&A session. Give the students time to prepare some questions (or have some prepared ahead of time), assign parts and let the students complete the activity in front of the class (maybe even videotape it). Students can switch roles as they please so they can practice asking and responding to questions. You might need two days for this activity: one day to prepare and practice, and a second day for the final presentations. Make Thanksgiving Cards! – In Autumn, both the US and Canada celebrate Thanksgiving. If you’re teaching ELLs in those countries, you can teach them about the holiday and why we celebrate it. If you’re teaching outside of those countries, it’s still a good opportunity to teach some world history. You can teach both geography about North America and history of why the Pilgrims left England to settle in North America, and how they interacted with the Native Americans. You can also teach about the different foods they ate and how they’re different from the foods people eat today. Then, have the students make a card with a handwritten message for the students to give to their families on Thanksgiving Day. These are some activities that you can do this season with your students. If you have any others to share, please comment below! I’d love to hear them!